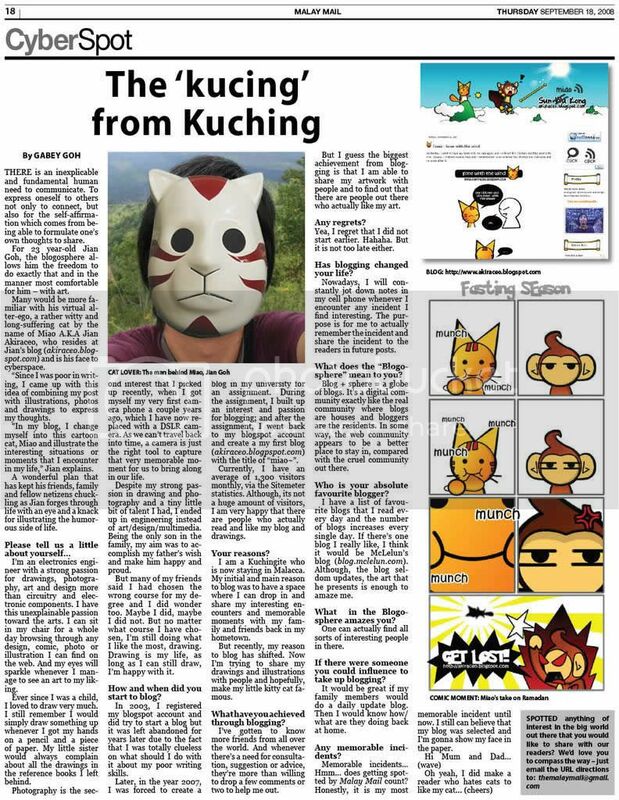 Miao & WafuPafu Comic Blog » How to Travel to Penang from Melaka by Bus. How to Travel to Penang from Melaka by Bus. Posted on April 17, 2012 by Jian Akiraceo. This entry was posted in Outdoor and tagged bus from melaka, bus to penang, bus to penang from melaka, how to travel to penang from melaka, Travel by bus. Bookmark the permalink. 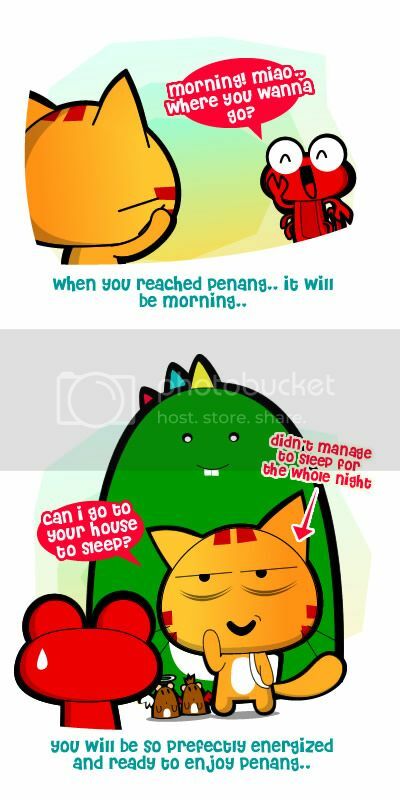 btw what is that red creature? red ant? or lobster? wah. 8 hours ah?! that’s the same time for me to fly from melbourne to kl! wahh 8 hours on the flight.. but at least hv movies to watch right? 8 hours? That’s like KL to Kelantan. LOL i miss u la weii! When coming again? This time dunid to reach so early jor.. n i dun hav to wake up so early jor.. LOL! So true. It’s hard to sleep in a bus ride. I’m so jealous for those can. I once travel to JB from KL. I always travel from melaka to penang by bus because flight costs more. I’ll take Intercity Coach because if I couldn’t sleep I can play on my laptop for 8 hours with free wifi. Haha! wahhh how much does ot cost to transport your dino? I might consider bringing my giant domo to Penang also lah!